BSc, PhD (Wales), CBiol, FSB. University of Wales, Bangor. Professor Emiritus, University of Reading, UK. Emyr spent over 30 years at Reading University lecturing in animal production and supervising postgraduates from developing countries. He has participated in livestock research projects in East Africa and Asia, funded by the Livestock Production Programme of the UK Department for International Development. He has organised two recent conferences in Llanfyllin and Newtown High Schools involving students, and academics from Britain and Uganda. Emyr regularly engages with farmers and farming groups, churches and chapels, local councillors and national politicians. 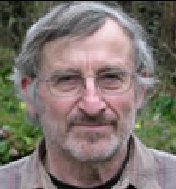 Emyr is a prolific Welsh speaker and oversees translation of all Dolen Ffermio communications materials from English to Welsh.